The incredible ADLQM87PC Core i5/i7 (Haswell) PCIe/104 single board computer from ADL Embedded Solutions demonstrates that the PC/104 form factor, now 23 years old, is still heavily in demand and one the industry won’t allow to fade away. 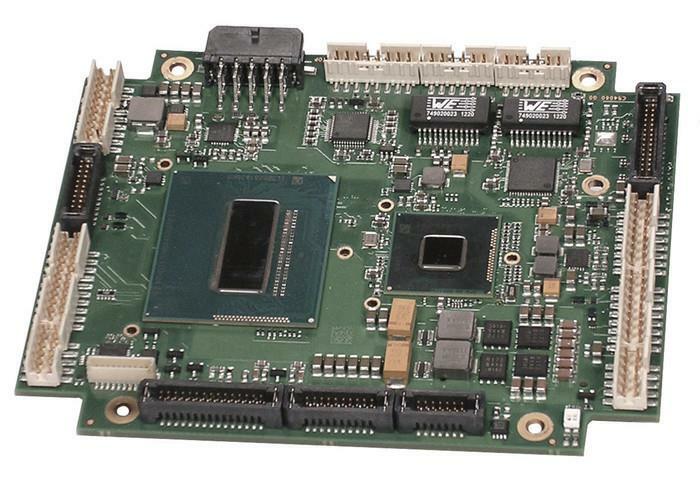 As you’d expect of any Haswell-based SBC, the ADLQM87PC supports the very latest I/O including quadruple SATA III (with RAID compatibility), dual Gigabit LAN, triple independent displays, TPM, and a whopping 15 USB ports (13 x USB 2.0, 2 x USB 3.0). Expansion is provided both by the V2.01 PCie stackable connector, alongside mPCIe for easily adding onboard Wi-Fi, GPS, Bluetooth, and NFC functionality. Designed for where you need the very latest performance in the very tightest of spaces, the ADLQM87PC doesn’t disappoint.